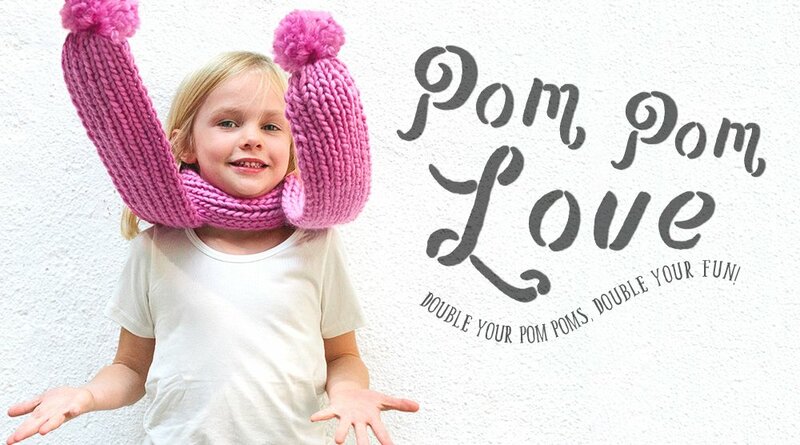 Welcome to the full video tutorial for the Baby Pom Scarf! Here you’ll find the video that walks you through the whole Baby Pom Scarf knitting pattern, from beginning to end. Woohoo! If you have questions, leave a comment below and I’ll get back to you as soon as possible. Don’t have the pattern? Head to the shop, grab the pattern and follow along! If you’re knitting with a hank of yarn (what looks like a big yarn spiral), check out How to Unwind a Hank of Yarn. To knit this pattern, you should be familiar with the knit and purl stitch. If you need a reminder, check out How to Knit. The video tutorial goes through the longtail cast on, but if you’d like a more intensive tutorial, check out this video for the Longtail cast on. Share on Ravelry: For the uninitiated, Ravelry is like Facebook for knitters. You can create project pages for each knitting project, add your yarn, needles, photos of your work in progress, and notes on how it’s going. Best of all, you can see other knitter’s projects and ask questions and comments. It’s awesome! If you haven’t joined yet, consider creating an account. It’s free and, frankly, really addictive. If you have a Ravelry account, add your Baby Pom Scarf project! The PDF file is best viewed in a PDF reader like Adobe Reader or Preview (on a Mac). Different browsers (not to mention different versions of browsers) will render the file differently, and in some cases, the file may look garbled and funky. To avoid this, always use the most recent version of a PDF reader to view the pattern file. Visit the technical support page for more information. I love your delightful, brightful site! The music, your nimble fingers, and the dancing yarns. You taught me to knit in January 2015. I watched your tutorials on my iPhone. Thank you!!! I’m loving knitting and since learning have made about two dozen scarves (several of which I’ve had the confidence to give as gifts:) Just ordered your Baby PomPom Scarf kit to try some of the Finnish yarn you work with so often. Made me happy just to place the order. Thank you for sharing your talent and passion!!! Hey Rebecca! Thanks so much for your kind words. You’re the best! 🙂 I’m so impressed that you’ve made TWO DOZEN scarves so far! Wowza! I’m so pleased to be part of your knitting journey, and wouldn’t you know it, I’m just about to pack your order right now!